Perhaps, a little later, Joe, I’ll be able to offer a more adequate response to your posting which I really enjoyed. It was lively, direct and disturbing to some of my friends who told me to stop sending them such diatribes. But seriously, it touched on points that I worry about myself, especially the subjection of human concerns to metaphysical transcendental norms which I take to mean Nobodaddy in Blake and the priest and king in Joyce’s Ulysses. For the moment, here are a few points. As you well know, Frye was a double major in Philosophy and English and initially I searched his writings for evidence that he was philosophically an idealist or a naive realist. I was amazed to find that he was neither. He was like Lonergan a critical realist: reality is reached in the act of judgment, however probable it may be. After reading the first chapter of Fearful Symmetry, The Case Against Locke, I was committed to making a serious study of Frye. 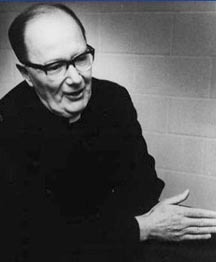 In the late 60s, Lonergan was introduced to the syllabus of the Jesuit seminary, Dublin, Ireland. It is hard to describe what a breath of fresh air it was compared to the old Latin texts which were used up till then. We initially wondered what good could come out of Canada, especially in the areas of philosophy and theology, which the Germans had taken over. What we found in Lonergan’s Insight was an alternative to scholasticism with its metaphysics and epistemology. It was an alternative to faculty psychology with its focus on the attributes of the soul:memory, intelligence, and will. Instead we were invited to examine our conscious operations: “what” questions and “is” questions as the prior conditions for having an insight. Our basic texts turned out to be detective novels rather than Aquinas. In a detective novel all the clues are given, yet we fail to spot the criminal, until we have the required insight. Lonergan had studied the act of insight in Plato and Aristotle and Aquinas who did not thematize the act, as Lonergan does in his INSIGHT, but they knew that it was insight that put life into their otherwise dry works. Lonergan’s then worked out a method in theology based on his book Insight which examines modern science, mathematics, common sense, etc. The point of working out a Method in Theology was to enable theologians to police themselves by peer approval, instead of of being condemned or silenced by some bishop in Rome. Lonergan’s point of contact with Frye is that they are both Canadian: Sherbrook for Frye and Buckingham Quebec for Lonergan. They both have an encyclopaedic approach to their work. They both work with a four leveled universe, a squared circle diagram, as Joe mentions in his book, A Visionary Life. Lonergan assigns a transcendental precept or norm to each conscious level which we reach through acts of self-transcendence: Be Attentive, Be Intelligent, Be Reasonable, Be Responsible. But these are not some metaphysical entities, some attributes of the soul, these are are personal acts which can be verified in one’s own consciousness. And this verification is what the exercises in Insight are designed to bring about. Similarly, my reading of Frye’s Secular Scripture brought me to proclaim Frye as the Einstein of the verbal universe. There Frye presents us with four levels of time and space. There is demonic time (Macbeth’s tomorrow, and tomorrow) and there is demonic space (Hell). There is ordinary time (clocks) and ordinary space (mirrors). There is cultural time (music) and there is cultural space (painting). There is anagogic time (Now, the real present) and there is anagogic space (Here, the real presence). So, to conclude for the moment, Lonergan and Frye share in Blake’s fourfold vision, however much it remains only implicit in the work of Lonergan. This entry was posted in Religion, Vision on February 18, 2010 by Guest Blogger. This entry was posted in Quote of the Day on February 18, 2010 by Michael Happy. We are showcasing another paper being added to the Frye Festival Section in our Journal section. This one is by Bob Denham and was delivered at the Frye Festival in April, 2004. It can be found in the Archive here. It is difficult to imagine a body of accomplishments larger than those of the man who is honored by having his name attached to this festival. His preeminence as a literary theorist, his labors on behalf of Canadian culture, his devoted work as a public servant, his achievements as a teacher at Victoria College for more than sixty years, and of course the massive body of writing that has instructed and delighted us for almost seventy‑five years now—these achievements have been well documented. The written responses to his work—the books and essays and reviews occasioned by his own eloquent prose—require a fairly thick volume just to record, and they have originated on every continent of the globe save Antarctica. No Anglo-American critic has as great an international reputation as Frye. As for his national reputation, five years ago a panel of experts for Maclean’s magazine chose Frye as the second most important Canadian in history? To date there are twenty‑eight books devoted in whole to his work. He has been the subject of international conferences in the U.S., Canada, Australia, Italy, Korea, and China–-in fact twice in China. And there are more than 200 translations of his books into twenty languages. All this bears witness to an accomplishment that even a disinterested observer would have to call monumental. Whatever one says about Frye will always fall short, and I feel in danger of taking a big fall this noon, for what can one say to a group of doctors as doctors about Northrop Frye. Well, I thought it might be of some interest to call up a few things that relate to the topic of Frye and medicine, which is a topic no one has really talked about much. And then we’ll open up the floor for questions and comments. I doubtless won’t be able to answer your questions, but I am naturally very interested in the kinds of questions you might have about Moncton’s most famous native son. It was as a child in Moncton, incidentally, that Frye, as he records in one of his notebooks, had the fantasy “of becoming a great astronomer & discovering a new planet beyond Neptune that I was going to call Pluto.” This wouldn’t be particularly noteworthy, except that the fantasy occurred more than a decade before Pluto was actually discovered. I mention this little anecdote to remind us that Frye was a genius. Whether ESP is an aspect of genius, I don’t know. In any event, Frye and medicine is an interesting subject to think about. The body was a central metaphor in Frye’s criticism, as it was in the work of his great literary hero, William Blake. In editing Frye’s diaries several years back I was struck by Frye’s concern for the health of his own body and psyche. He reveals a great deal through self-analysis, writing about his abnormal fears, his physical insecurity, his self-consciousness, his introversion, his sanguine humour and his dark moods, his claustrophobia and paranoia, his grieving over the death of a colleague, his phobia about animals, and so on. And he writes at length about his various bodily deficiencies and physical ailments: his deviated septum, hay fever attacks, constipation, insomnia, and various states of stupor induced by too much alcohol. He probes his own ego as well, often from a Jungian perspective. I would guess that the details in Frye’s description of his symptoms would provide a fairly good basis for diagnosis. This entry was posted in Bob Denham, Frye Festival, Journal on February 18, 2010 by Bob Denham.